Sad. Hopefully this all traces back to the UFC not paying their heavyweight champion Stipe Miocic enough money. 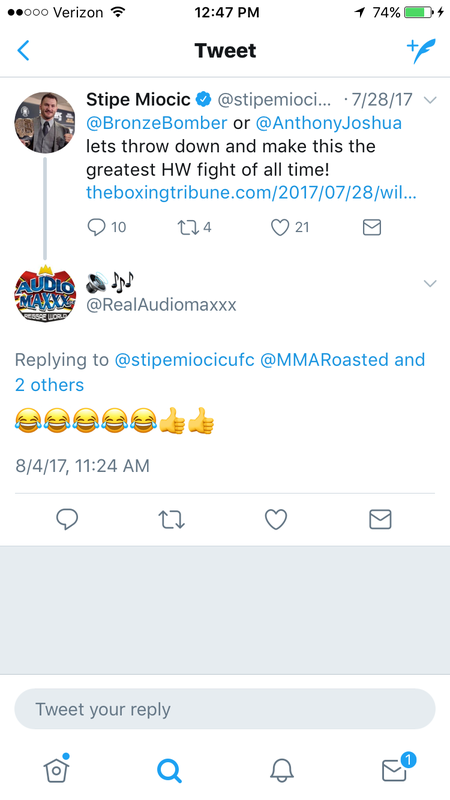 Ever since Conor McGregor vs. Floyd Mayweather was announced Miocic has gone on the saddest social media campaign in attempt to score a big heavyweight boxing payday. Nobody asked for this. Nobody wanted this. 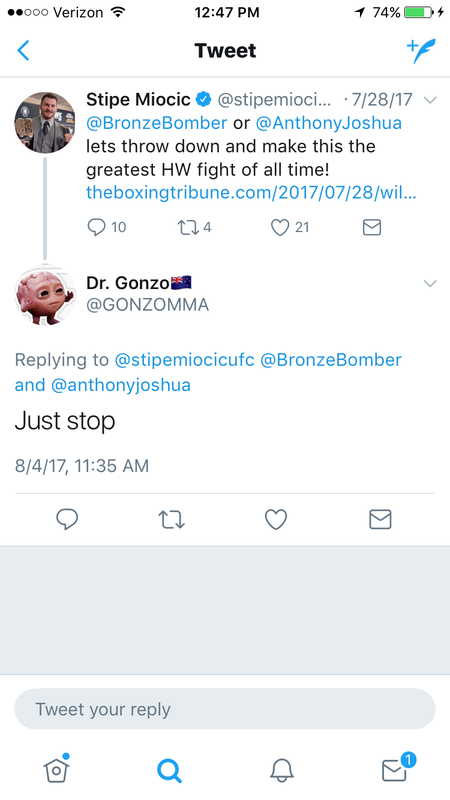 Except for members of Miocic’s family and strangely enough longtime journalist Kevin Iole of Yahoo Sports, nobody on planet Earth wants to see the UFC heavyweight champion crossover into the boxing ring. 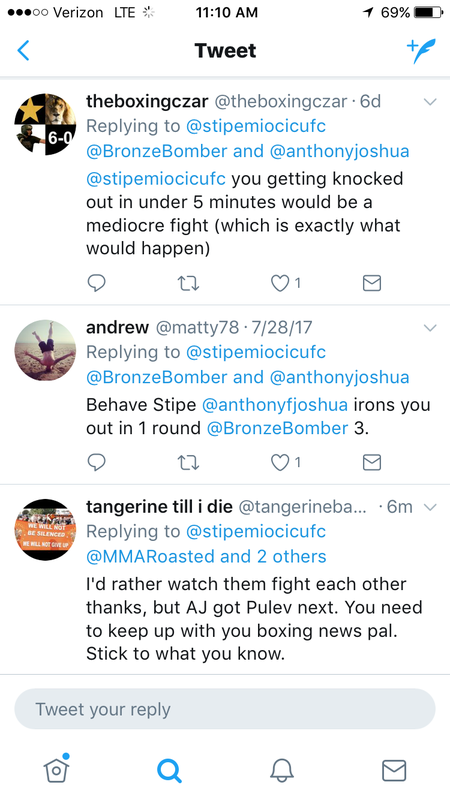 Two months into his hounding for a boxing payday, Miocic’s own fans have now started to turn against him. 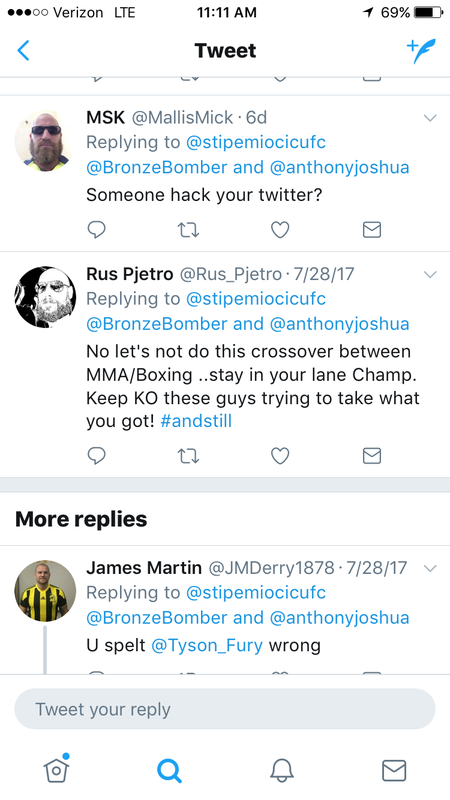 Look Miocic has 110,291 followers on Twitter and his call-out of heavyweight boxers Anthony Joshua and Deontay Wilder netted only 13 likes after a week of posting. 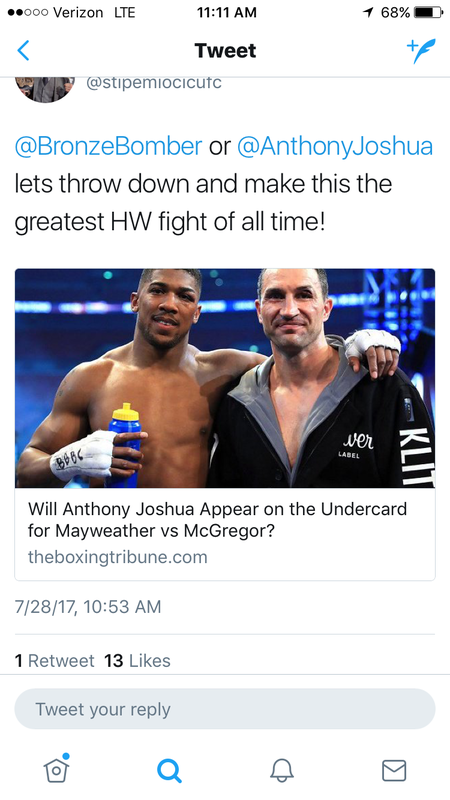 We were told there wouldn’t be math but 13 out of 110,291 does not seem like a strong basis for a super-fight humans with the sense sight want to pay for.